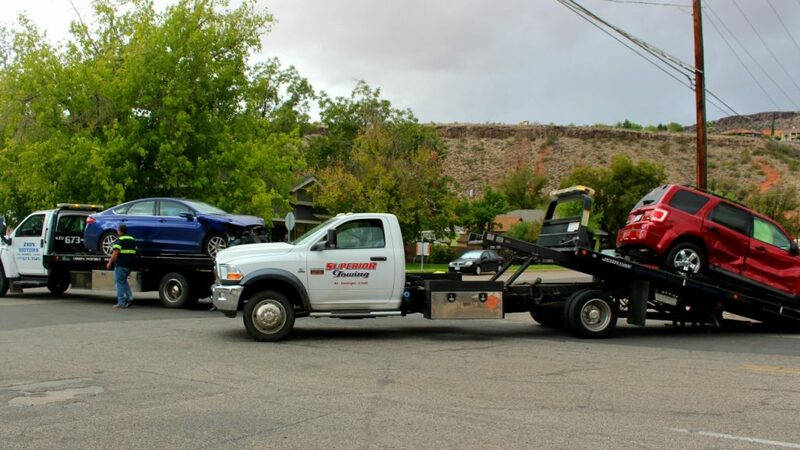 ST. GEORGE — Two vehicles were destroyed, and one driver was transported to the hospital after a T-bone crash was set in motion when a driver blew through a stop sign on 200 South Thursday morning. 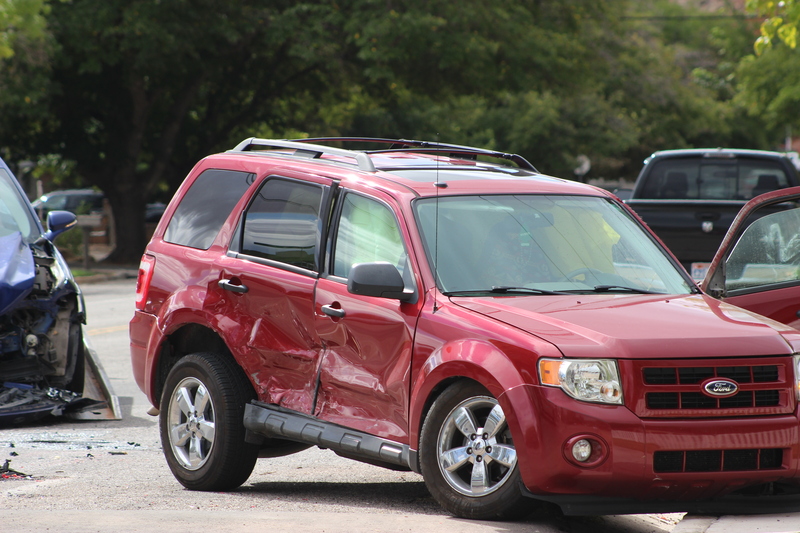 Officers and emergency personnel were dispatched shortly after 11 a.m. to a two-vehicle crash involving a blue Ford Fusion and a red Ford Escape on West 200 South and South 300 West. Initial reports indicated one of the drivers was possibly injured in the collision. Upon arrival, officers found the Fusion in the middle of 200 South partially blocking both directions of travel. The Escape was partially on the sidewalk and partially blocking southbound traffic on 300 West. The Escape driver suffered minor injuries during the collision and was transported to Dixie Regional Medical Center for evaluation and treatment, St. George Police officer Andy Mickelson said, while the woman driving the Fusion told officers she was uninjured. At the time of the crash, the Escape was heading north on 300 West while the Fusion was heading west on 200 South. The woman driving the Fusion continued through the intersection without stopping at the stop sign and T-boned the northbound Escape. The force of the impact spun both vehicles around and caused the Escape to tip onto its side before it crashed to the ground where it came to rest in an upright position with the front-end blocking the sidewalk. 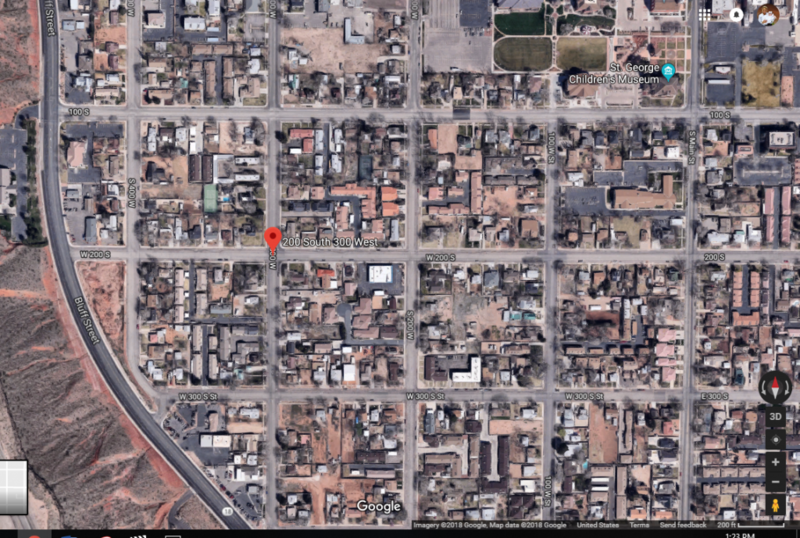 The Fusion driver told police that “she did not see the stop sign for westbound traffic and continued through,” Mickelson said. The drivers were properly restrained at the time of the crash, and multiple airbags deployed in both vehicles. 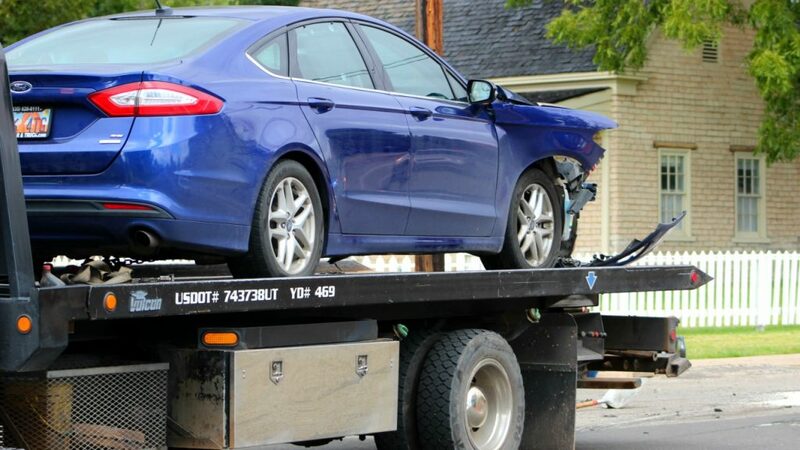 The driver of the Fusion was cited for failing to stop at a stop sign, and both vehicles were destroyed in the crash and subsequently towed from the scene. You’d have to be blind to miss that sign. The streets are called 200 South and 300 West. I don’t know why, but Google insists on adding the north, east, south, or west that goes with the house number to the name of the street. Thus, it calls most of Riverside Drive “East Riverside Drive”. You could miss the sign if on the phone, thoughts distraction, or managing little ones. Maybe another “traffic circle” is in order there, sounds like a need to slow the traffic. Until they start really punishing these drivers with stronger penalties, this will only get worse. There is a huge entitled mentality in this town. This locale is far from the only place here where people run stops and red lights often.